This week, we are proud to share with you an article from our friends over at NAFSA (with their blessing, of course). We were struck by the insightful way that this short section in International Educator's September/October 2018 edition captured today's market challenges in a realistic, unflinching light. 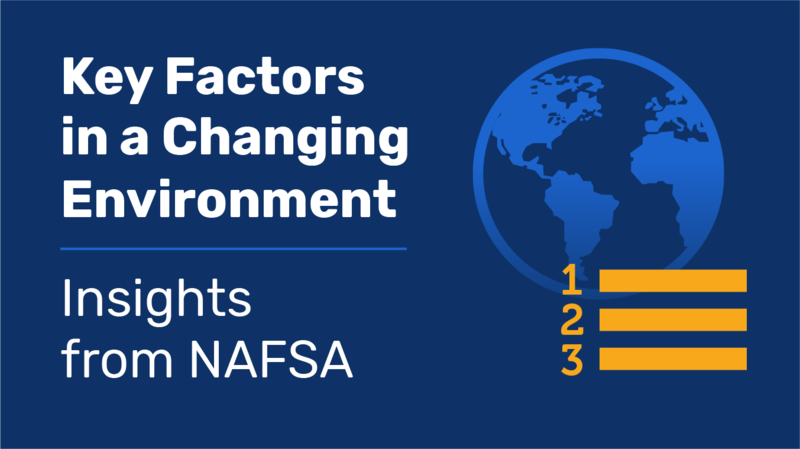 Rather than emphasizing one factor impacting higher education (politics being a popular choice), this section takes a wider look at the many diverse conditions affecting overall enrollment. This brief summary is evidence that many of our day-to-day concerns are not limited to international recruitment, and now is not the time to back away from building your brand internationally. As competition grows, both domestically and internationally, you want to be in a strong position to continue attracting students and maintaining your enrollment. We've all faced periods of enrollment challenge before. Shrinking away was not the answer then and it is not the answer now. In that vein, we invite you to join our session at NACAC on Saturday 9/29 at 10:30 AM for our Presentation: International Alumni Relations: The Neglected Tool in Your Student Recruitment Arsenal? Earlier this year, in partnership with Academic Assembly we surveyed over 1,000 US institutions on their international alumni engagement practices and needs. At this session, we will present and interpret the findings of this research and offer practical ways you can leverage your international alumni network to strengthen your recruitment and development efforts. We have another great collection of Intead research and insights coming out next week. You don't want to miss our Webinar: Agent Commission Structures and how to maximize your recruiting agent partnerships on Thursday, 10/4 at 10 AM EST. Register here. All registrants will receive a copy of the full report following the webinar. Intead works with our institution clients to help them determine the best regions and channels for their strategic enrollment plans. Our proprietary research and the custom research we do for our clients makes all the difference. 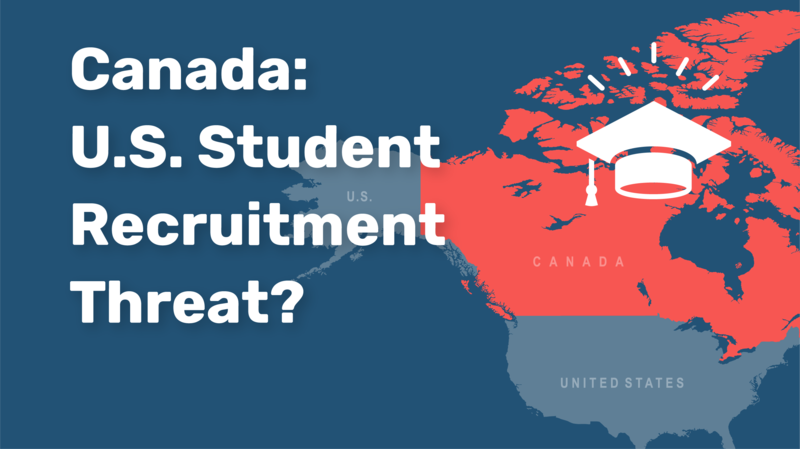 Canada: U.S. Student Recruitment Threat? Canada is after your students! Canadian universities are seeing a spike in international student enrollments, fueled by a political climate that has some students spooked about studying in the U.S. According to Inside Higher Ed, international enrollments rose 10.7% for Canadian institutions from 2016-2017, a period during which the U.S. saw a 7% decline. Some students enrolling in Canadian institutions hail from countries that American institutions have long relied upon. For instance, the Hindustan Times reported that the number of Indian students enrolled in Canadian institutions topped 100,000 for the first time in 2016. But for American universities, the threat is actually two-fold. Some of Canada’s international students are America’s domestic students—so that means that your Canadian competitors may be siphoning both your domestic and international enrollments. Not looking so polite now, huh? Read on to get the recruiting perspective you need. It’s awfully cold up here in Massachusetts these days—but that’s just one of the reasons we’re daydreaming about the AIRC Conference in Florida this past December. 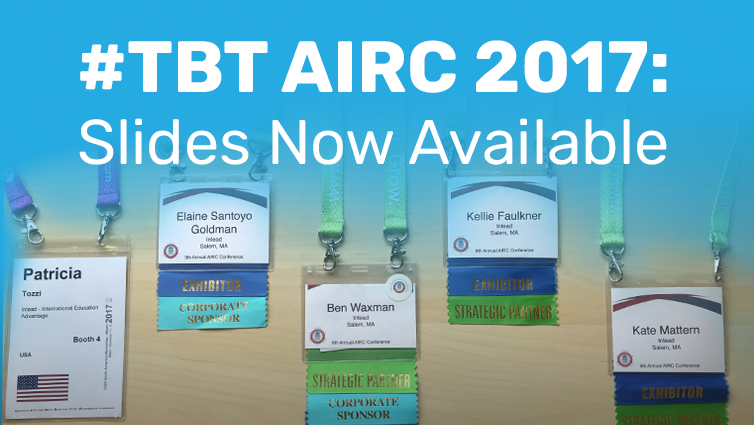 As most of you know, the American International Recruitment Council (AIRC) conference is one of the highlights of the year for our professional community. We have been attending AIRC for 8 years now, and every year we meet insightful industry experts with valuable perspectives to share. This is the learning and networking conference we enjoy most. We send a significant Intead staff contingent every time to get the most of what AIRC has to offer our community. International student expertise from all over the world gathers and shares their firsthand perspective and in-country student experiences. This year, we were honored to share our own marketing intelligence with our colleagues from universities and other experts in the field on a wide range of recruitment topics. We saw many of you, our valued blog readers, on the conference floor, jotting notes in AIRC seminars or lounging poolside with a drink (don't worry we won't share any photos)—but if you missed it (or hey, just miss us!) our slides are here for your perusing pleasure. Seats are still availble for the Intead/CGACC International Student Recruitment Bootcamp. Sign up while you still can. February 11-13 in San Diego. We can't wait for the warmth! Right now it is common knowledge that more women are enrolling in higher education than ever before. But, did you know that global female enrollment in higher education has grown twice as fast as the rate of male enrollment in the last four decades? Women now outnumber men in higher education institutions in 114 countries. The reasons for the large rate of growth for female enrollment are clear: increased access to university education for women, better financial situations and the global push to encourage female education. Here's the question: have you considered how to your institution's marketing approach addresses this trend? Are you speaking their language? 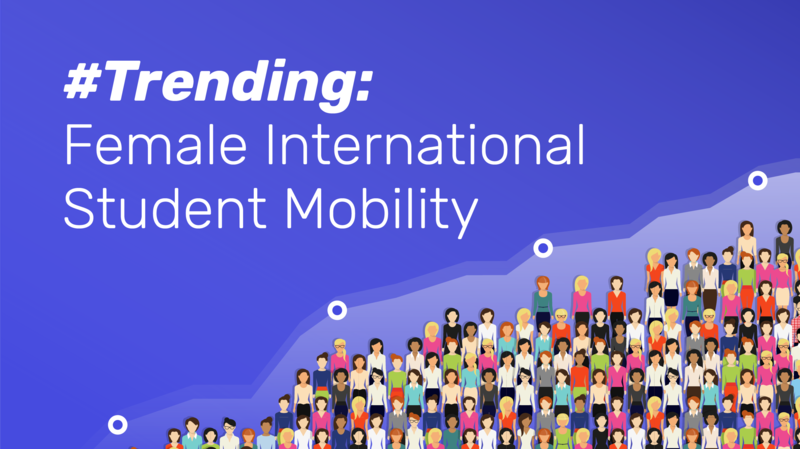 BOTTOM LINE: Women are outnumbering men in education institutions around the world, but there is still a gap between male and female international students studying in the U.S. There are still countries that tend to send more men abroad, particularly in the STEM fields. Encouraging more women to enroll in studies traditionally occupied by men and looking for insights from countries that are already sending more women abroad may give us some clues into how to encourage continued growth in the number of women studying in the U.S. and abroad. Read on to explore the growth trends and consider how to adjust your marketing approach to capitalize on the trend.